Multiquip’s versatile, multipurpose high pressure centrifugal pump handles all types of clear water applications, no matter how much water needs to be moved. 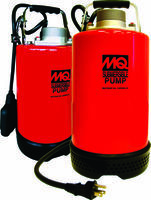 The QP305SLT is our highest volume high pressure pump. Good for fire fighting and jetting applications and for moving up in those high-head jobs. 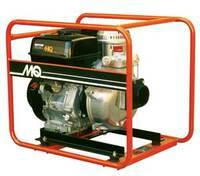 Powered by a 10.7HP Honda GX340 engine. A 3-inch (80 mm) suction port. Pumps up to 145 gallons (549 liters) per minute. Weighs 110 pounds (50 kg). 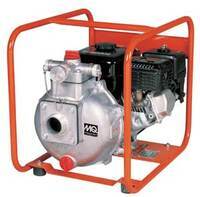 High-pressure pump has a maximum head of 328 feet (100 meters). Aluminum pump housing and unique twin closed impeller design.